Exams are almost here, time to start all the time-tabling, planning and mugging. 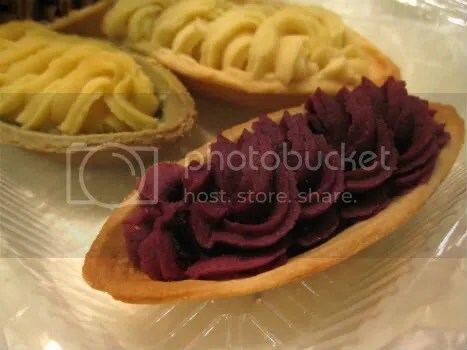 The friend and I were attracted by the deep purple color of the sweet potato tart on the isetan okinawa fair catalougue. We didn’t deliberate any longer ( even though we were supposed to do research in the library) and headed down to the fair itself. It was pretty to look at, but not mind-blowing to say the least. The purple sweet potato filling had too much sugar and the crust was too buttery, masking the beautiful earthiness of sweet potatoes. If the former was sweet, this was toothachingly sweet. Well, nothing unexpected I guess since it was called a brown sugar tart. 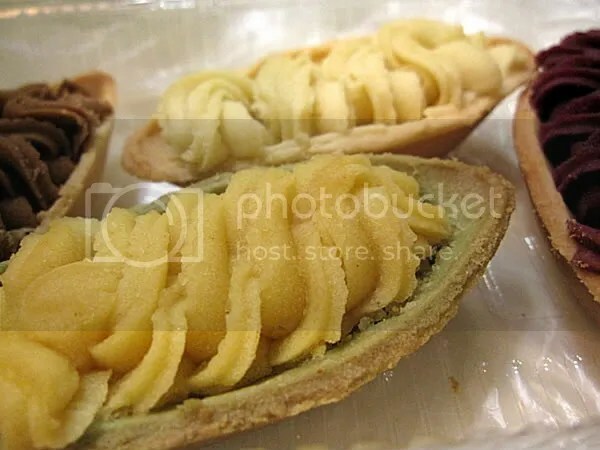 Nonetheless, I enjoyed the unrefined taste of brown sugar enough to finish most of the tart since the friend failed to appreciate it. The favourite of mine had to be this citrusy flavoured one. 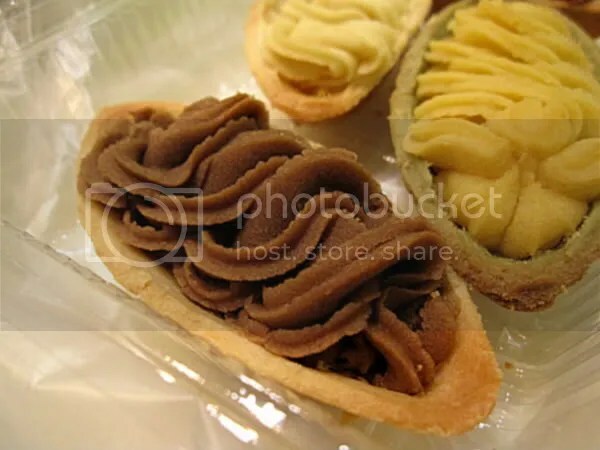 The sharpness of the citrus flavour cut through the sweetness of the filling and complemented the buttery crust very well. The friend on the other hand prefered the salty vanilla flavoured tart on the back ground. I liked it a lot too, for the mellow vanilla notes, nuanced saltiness and buttery goodness of the tart base.